You will be picked up from your hotel at 6a.m. in order to start the beautiful trip to Lares. 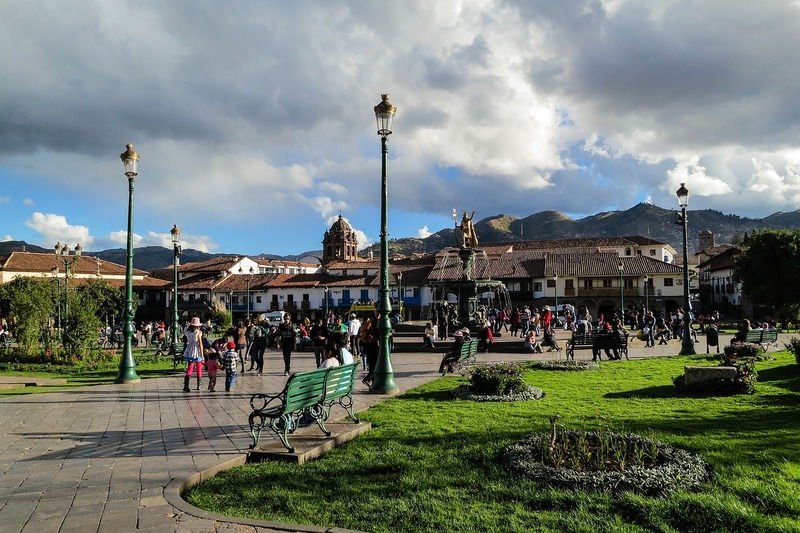 We will pass by the town of Calca and later visit the archaeological site of Humanmarca, which is a small pre-Inca citadel where we can observe spectacular terraces, temples and Inca streets. We then continue our journey through the valley of Lares and have breakfast at a great location that has a stunning view of the Andes. After we will visit the thermal baths where you will have time to enjoy the various pools that are made up of different temperatures ranging from cold to boiling. The water is volcanic and is considered to be very good for bones, stress, muscular pains and head aches. Following this we will have lunch and also meet up with our horses and porters where we can leave our backpacks. Continuing our trip, we will start the first part of our hike, which will take about three hours. During this time our guide will explain about the different industries including: textile, livestock, agriculture and the cultivation of the many variety of organic potatoes and medicinal plants. During the hike you will also see many alpacas, vicunas and the most impressive decorative houses of the Incas. We will then arrive at our campsite Huaca Wasi (3770 m.a.s.l. ), where our guide will accompany us to the town to visit local homes and learn about their traditions and way of living. If there is time, we will also visit the local school where the school children still speak Quechua, the maternal language. If you like, you are welcome to bring toys, note books or school materials for the children to share. You may even be able to teach them a few words in English. After, we will have dinner, which will be prepared by our chef and then finally head to our tents to rest. We will wake up at around 6 a.m. with a hot cup of coca tea. After breakfast we will continue our hike for three hours to Huacarpunku where we can observe an impressive waterfall. In this area you will also see lakes, other waterfalls, llamas and alpacas. If you are tired you are welcome to continue the journey on one of the emergency horses. From here the trail will start to decline, which we will follow until our the lunch point, passing by two lagoons (the first lagoon is called Auro Q’ocha where you can see birds of this zone and the second lagoon is called Yurac Q’ocha (3600 m.a.s.l) where you have time to enjoy until lunch. Sometimes you will even see llamas pass close by. After lunch you will have time to relax by the forest of Q’euñas that has a fantastic view of the valley and houses that were constructed from original, ancient stone and have thatched roofs. We then continue the trail to YANAHUARA (3400 m.a.s.l.) where we await our tents and will spend the night. Today we will wake up at approximately 7 a.m. After breakfast we will continue our hike downhill along a path where you can observe the process of making the traditional Inca drink Chicha and are welcome to try. As we walk through this area you will pass by fruit trees noticing a change in microclimate and the difference in cultivation from that of the mountains. In this area the people of the Sacred Valley are surrounded by farms consisting of corn, quinoa, kiwi, peaches, avocados and other types of fruits. 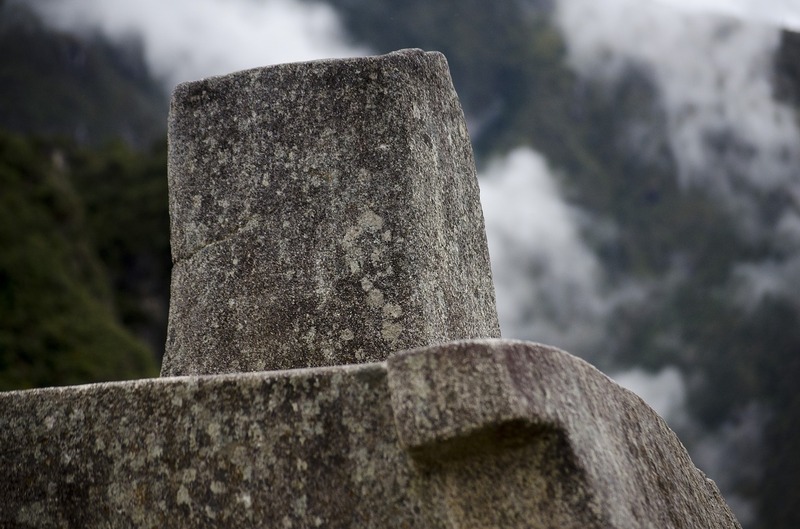 We continue the trail ascending to Yanahuara lookout where we can see an impressive view of the Sacred Valley. After we will descend to our lunch point that has been prepared by our chef. Here we say goodbye to the team as we take a bus to Ollantaytambo in order to take a train at 12.58 p.m. to Aguas Calientes, which will take around two hours. 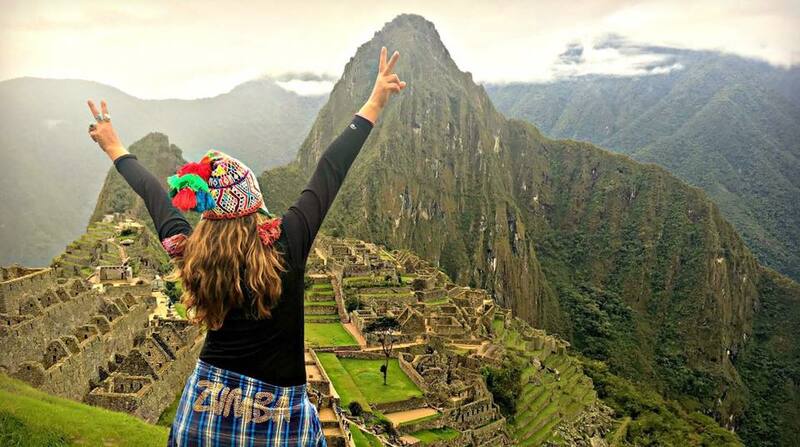 Today is the most magical day, as we will be visiting Machu Picchu. Our wakeup will be early in order to take one of the first buses at 5.30 a.m. to Machu Picchu. Here we will participate in a two hour guided tour of the Inca citadel, followed by time to explore this magnificent place on our own and take photos. In the afternoon we will take the train back to Ollantaytambo, which will take two hours followed by a bus to your hotel in Cusco. Horses to carry food supplies.